9th Region Tournaments Available starting Monday, 3/2/15. 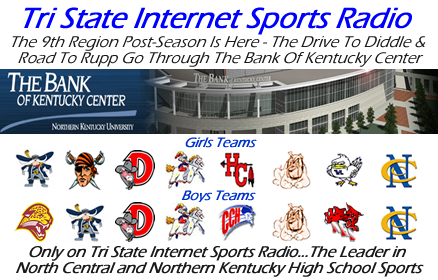 Tri State Internet Sports Radio will for the 7th Year, broadcast the entire 9th Region Tournament LIVE from the Bank of Kentucky Center. Games will be audio only, however, we will be taping the games and as both teams are eliminated from competition, we will reveal those video broadcasts for viewing. This is the agreement we have with 9th Region Tournament Officials. 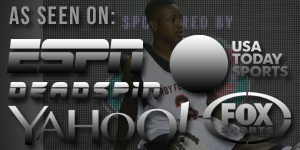 Join Matt Buttelwerth & "The Coach" Aaron Stamm for all 14 games of the Girls and Boys Tournaments.